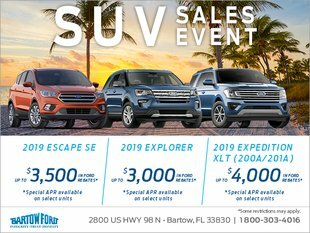 Like many others in the automotive industry, Bartow Ford has seen an increased demand for SUVs in recent years, particularly in key markets such as Florida. Whether a customer is single, married, or raising a family, SUVs have the versatility that every driver needs. With all that popularity, it comes as no surprise that Ford has decided to step up production on full-size SUVs. 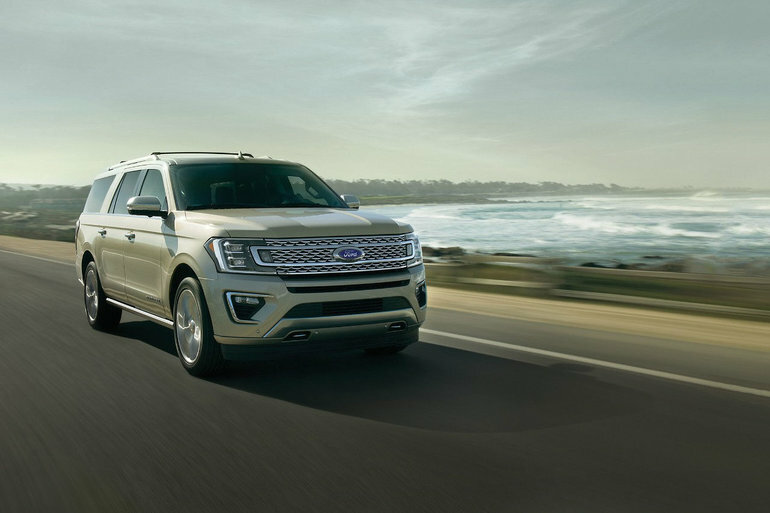 The auto manufacturer has boosted production of the Expedition by 25 percent, according to reports, with the work being done at its Louisville, Kentucky plant. The Ford Expedition is seeing high interest with demand far outpacing supply. Retail sales have increased nearly 57 percent in just one month. This is compared to last year’s increased SUV sales of just 2.9 percent. On average, expeditions are spending about seven days on lots before finding their new owners. Interestingly, the vehicle’s luxury models are proving to be popular with consumers, with the luxury Platinum trim model representing about 29 percent of all Expedition sales. This increased the per-transaction price by $7,800 in January alone. The plant is relying on the latest technology to keep up with the increase in demand. In addition to asking workers to put in overtime, the company has invested in more than 400 new robots, putting most of them in the body shop. Robots can take care of repetitive tasks, helping speed up the line while also improving worker safety. Data analytics are also an important part of increasing production. TVs stationed around the plant let leaders see in real time whether production is meeting demand. In addition, Ford recently added a 3D printer to its operations to make it easy to print parts on demand. Being able to make parts as needed can save hundreds of thousands of dollars and months of man hours for each item. Bartow Ford, car dealers in the Lakeland FL area are excited to see the increased rollout, knowing how much it will satisfy their customer bases. With so many people interested in Ford’s full-size luxury SUVs, the company will only continue to thrive.